Join our fun-lovin’ crew and help animals! Love animals? Marin Humane offers professional development, career growth, and a fun, supportive atmosphere (plus lots of opportunities to snuggle furry friends!) We’re mission-driven, fast-paced, and thrive in a progressive work environment. Interested? 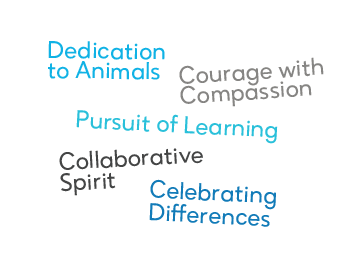 We offer competitive salaries, a comprehensive benefits package, and a workplace culture that embraces our core values of Dedication to Animals, Collaborative Spirit, Courage with Compassion, Pursuit of Learning and Celebrating Differences. Please create an applicant account to submit your application.